I wrote “Ganjitsu” and “Gantan“. “Ganjitsu” means “New Year’s Day“, and “Gantan” means “The morning on New Year’s Day” in English. 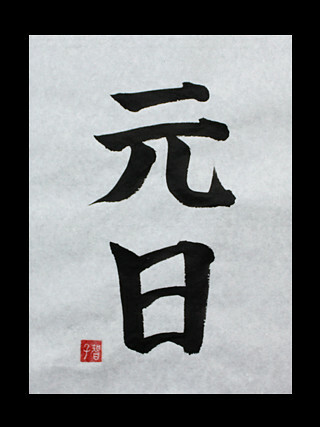 Japanese kanji symbol “Tan” express that the sun rises from the horizon. The horizontal line is under the kanji symbol for the sun. 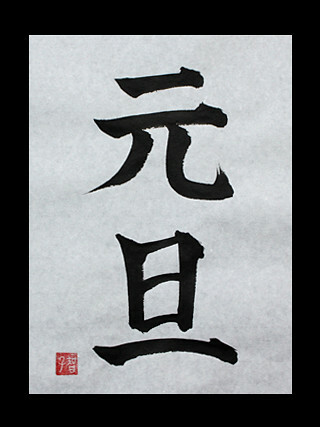 Previous Post “Gashou” – Japanese Kanji Symbols for A Happy New Year!